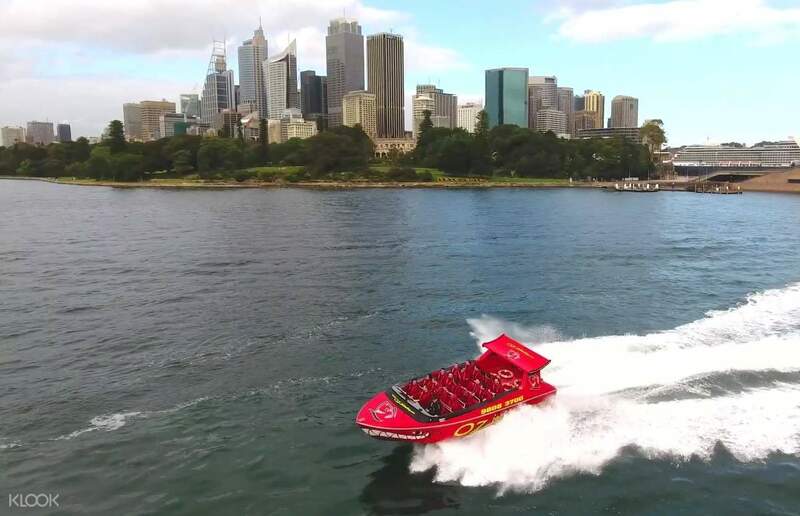 Enjoy a jet boat ride of breakneck speed across Sydney Harbor with spins, splashes, fishtails, and dashes! 30 minutes is all it takes to experience a heart pounding thrill that races straight across Sydney Harbor and right by its most splendid skyline sights from over the water. 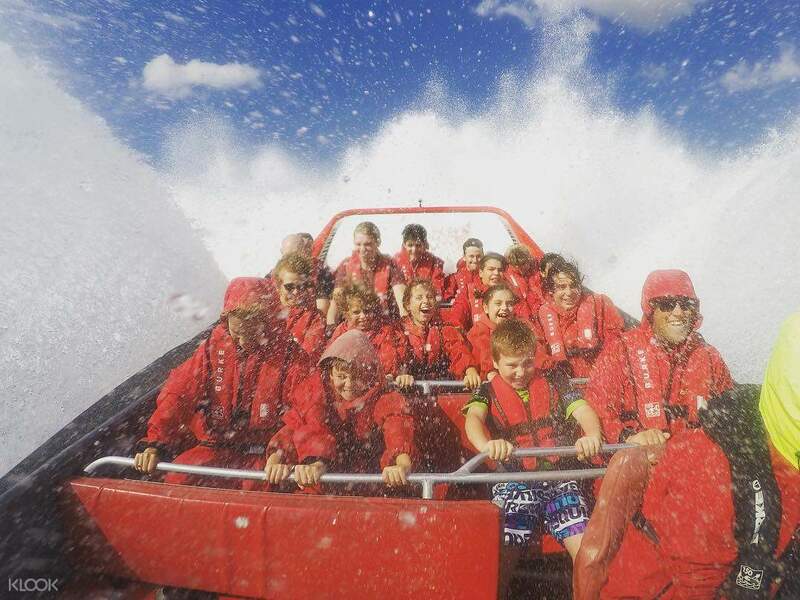 This Oz Jet Boating adventure allows you to climb aboard and incredibly powerful jet boat that will roar across the waters, doing spins, slides, fish tails and power break stops. This thrilling ride combines the fun of a rollercoaster ride to the splendor of a tour of Sydney Harbor, as your driver will provide commentary on the Opera House, Clark and Shang Island, Sydney Harbor Bridge and so much more. Don't miss the most pulse-pounding tour of Sydney Harbor that the city has to offer. 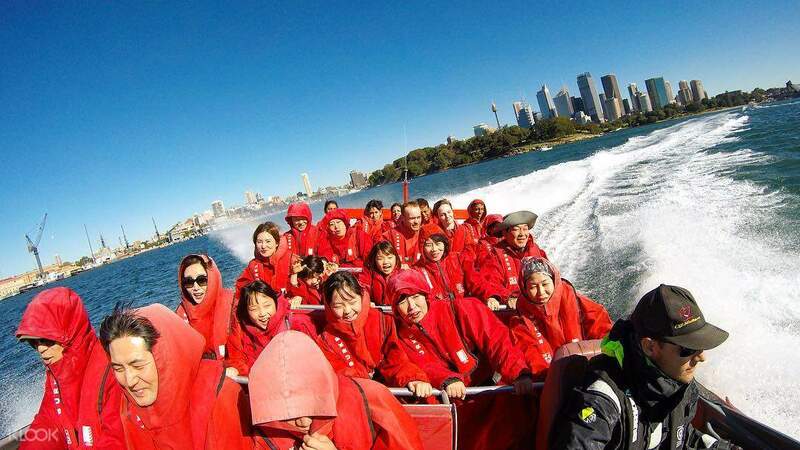 Ride at high speed over Sydney Harbor on a thrilling tour! Fun and absolutely exciting. This activity is good for those thrill seekers who are tired of the usual tourist activity. Fun and absolutely exciting. This activity is good for those thrill seekers who are tired of the usual tourist activity. Enjoy the stunning view of Sydney harbour in this 30 minutes jet ride. You will be able to see landmarks such as the Sydney Opera House, Sydney Harbour Bridge, Luna Park and more. While you may be wearing a poncho, be sure to get splashed as the jet spins and turns. Not to forget, the crews are there to enjoy your safety throughout the entire ride. Enjoy the stunning view of Sydney harbour in this 30 minutes jet ride. You will be able to see landmarks such as the Sydney Opera House, Sydney Harbour Bridge, Luna Park and more. While you may be wearing a poncho, be sure to get splashed as the jet spins and turns. Not to forget, the crews are there to enjoy your safety throughout the entire ride. The ride was really thrilling! Fantastic view of the harbour and bays. Will do it again!!! The ride was really thrilling! Fantastic view of the harbour and bays. Will do it again!!! My mom and I truly enjoyed the ride! Get ready to get wet everyone! My mom and I truly enjoyed the ride! Get ready to get wet everyone! It was a little cold because the weather was cloudy, but it was fun. 날씨가 흐림이어서 조금 추웠지만 즐거웠습니다.